Charles began training in martial arts in 1980. Since then he has trained in several styles of karate, akido, taijitsu, jujitsu, and budo arts. He discovered HEMA in 2008. He joined the Meyer Freifechter Guild in 2009 and founded the Grünberg Freifechter as a study group of the MFFG in early 2010. The group has been focusing on the longsword section of Dr. Forgeng’s translation of Joachim Meyer’s 1570 treatise. He has taught classes at the Purple Heart Armory Open, Fechtschule New York, Fechtschule Frisbee, and IGX. 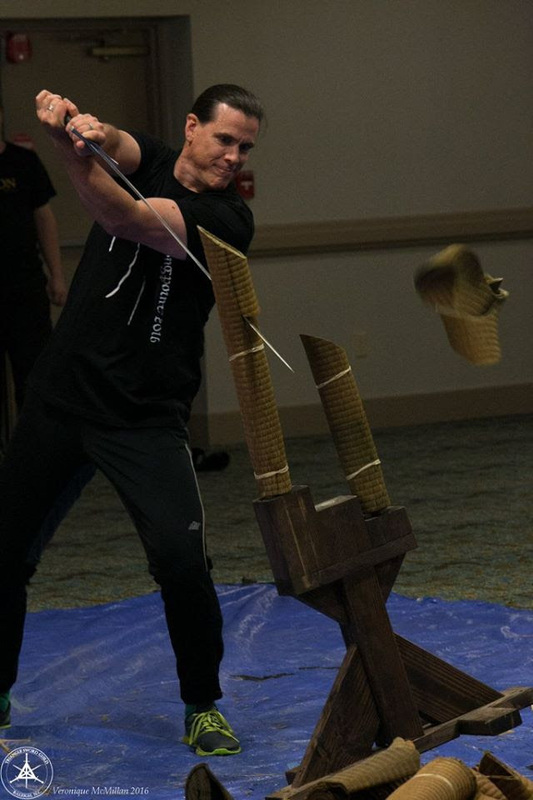 Recent placements: Fechtschule America 2013 (3rd in Dagger), Longpoint 2013 (2nd in Das Grublein), IGX 2013 (3rd in Spear, 3rd in Dagger, Technical excellence in Dagger), IGX 2014 (3rd in Dagger, 3rd in Open Longsword), IGX 2015 (1st in Heavyweight Dagger).